Set up an event with tokkistar from Houston. 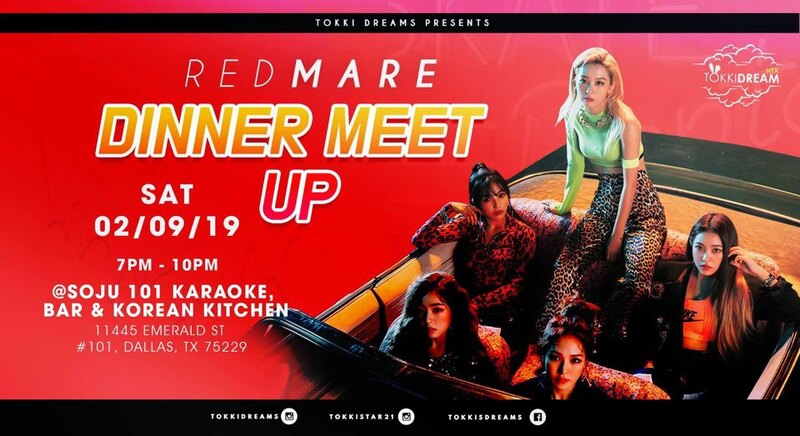 2/9/2019 Red Mare Dinner Meetup from 7-10pm at Soju101 Dallas. Redvelvet fans! Kpop fans! Come and join in this event!